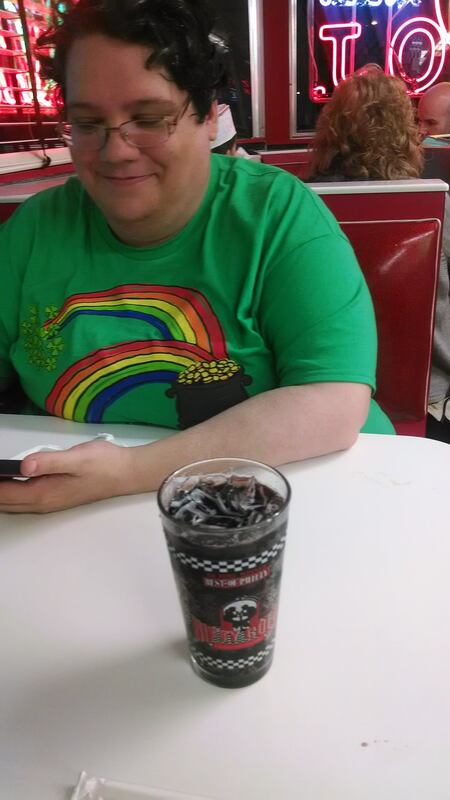 Several years ago in a library not so far away, I met fellow geek Laura Cushing. A creative of many talents, Laura and her husband Austin have recently launched Roll 4 It Dice, specializing in dice sets for tabletop gamers. (They even have specialty sets for GMs!) Instead of just being grouped by color and type, Roll 4 It Dice’s selections are also available in themes. 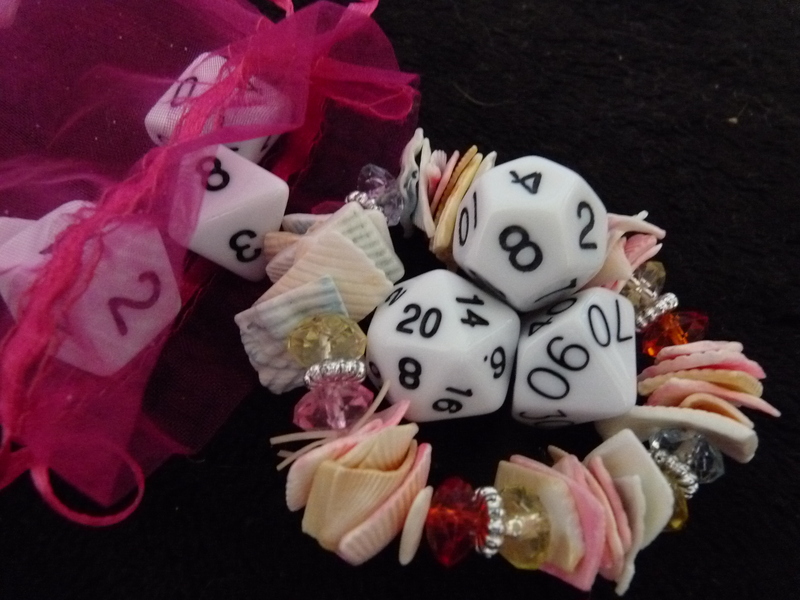 Dice sets also come with charms and jewelry matching each dice theme, making them ideal for geek gift-giving. I asked Laura about what it takes to start such a business and why Roll 4 It Dice fills a void in the market. Tara M. Clapper: What are the biggest challenges of starting a small business online? Laura Cushing: My husband and I started Lab Arc as a collaborative venture way back in the late nineties. Lab is my initials before we married, and Arc is his initials! We ran various games under the Lab Arc banner, and got into some business ventures including freelance writing and programming, social media marketing, and so forth. Eventually we started selling books on half.com, and then branched out to selling vintage and crafts on Etsy. The biggest challenge to our growing business has been finding what works. 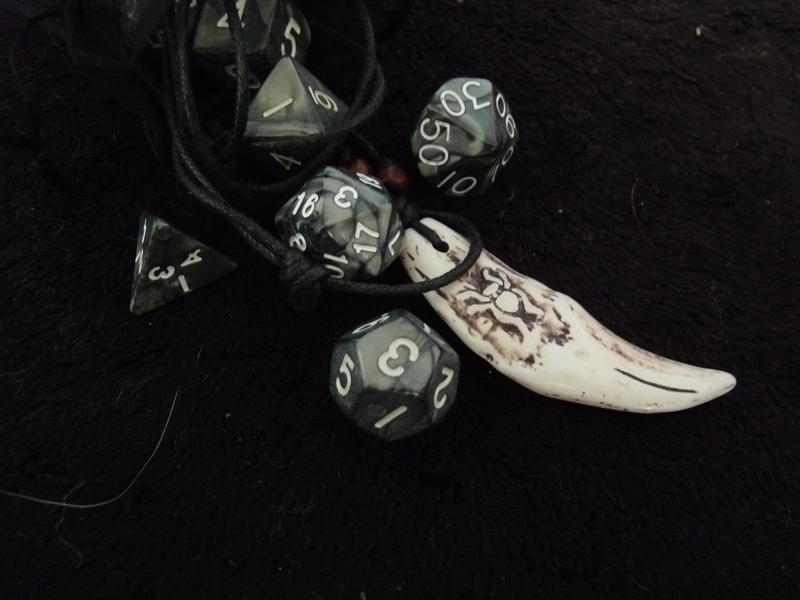 We’ve sold all sorts of things, but when I started creating dice sets to sell on Etsy we knew we were onto something. 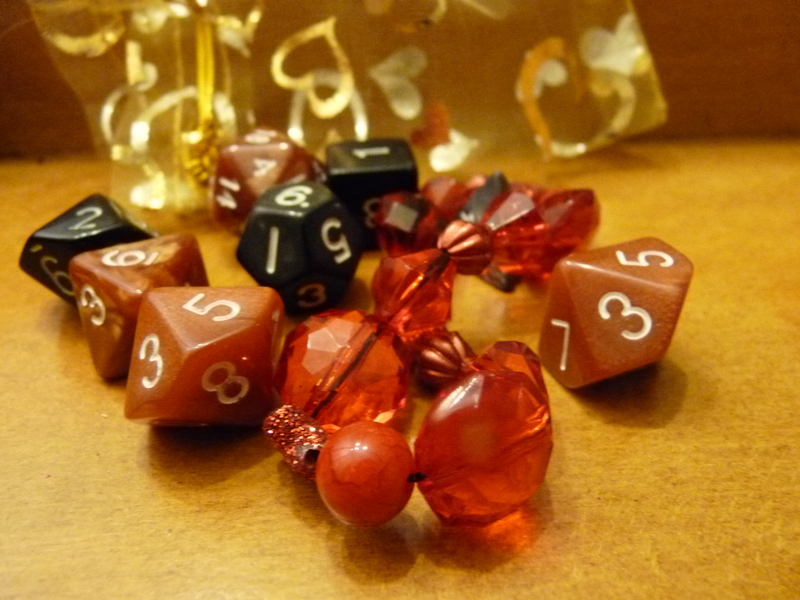 Now we still have our Half and Etsy stores, but dice are quickly becoming our main focus. Lab Arc is now an LLC, and Roll 4 It Dice is a subsidiary of it. TMC: How have you networked the local gaming community to get your dice sold in stores? LC: A great games library called Game Paradise in Indiana reached out to us via our Etsy store, and inquired about selling our dice at their location. We hadn’t even considered selling anywhere but the Internet at that point, but wow, we liked the idea! So we’ve been reaching out to game stores about carrying Roll 4 It Dice in their stores. We offer a wholesale rate or a consignment plan to stores, so it makes it a great deal for them too. We’ve also sent out some dice to dice playtesters – to be rolled around and shown to fellow gamers, and their local game stores. It’s a program that had a lot of interest, and though it’s just in its beginning stages, we’re pleased that they’re getting the word out about our dice. TMC: Why did you decide to sell dice? It looks like you really filled a hole in the market by packaging them the way you do! LC: My husband and I are both gamers. We LOVE dice! We have a huge dice collection. But one thing we noticed was that most full sets of dice come in either the boring plastic sleeve or a little plastic box they barely fit in. I really wanted to change that to make dice buying a more fun and complete experience. I wanted to have dice that were ready to roll – our dice come in a see-through mesh organza bag that makes it easy to reach in and find the die you want at a glance, without having to spread them all out over the table if you have limited room. It also complements your dice, and ties your set together. We made sure the bags are large enough to fit more dice in, too, because nobody really only has one set of dice – they’re like potato chips. The more you have, the more you want. As for including a lucky bracelet, charm, or necklace – well, we gamers can be a superstitious lot. Who doesn’t want a little something for luck? It’s also fun to see what you’ll get in your bag, like the prize inside the cereal box, but for big kids. And then there’s the varieties of dice available – everything from classic opaque dice to translucent dice, metallic-tone dice, sparkly dice, blended-color dice, and all sorts of interesting color choices. Once we got started, we decided another fun thing to try would be themed sets that match your character choices – a popular choice is Forest (sparkly green and earth tone brown mixed dice sets) for druids and rangers. Another thing we made sure to do was to keep the price low enough to be easily affordable. You pay enough for your books and adventures – you shouldn’t be breaking the bank for your dice. We’ve got nice dice at a nice price, and that’s a good thing. TMC: What are your goals for your business? LC: We have some exciting things coming up at Roll 4 It Dice! We’re setting up a Build Your Own section that will allow website visitors to completely customize their dice experience with any color combination they would like (and tons of bag and charm choices too!) We’re going to be unveiling many new products like Classic Adventure Kits. Eventually, we’d like to get to the point where we are able to manufacture custom colors – we get a lot of input on what colors our customers would like to see, and we’re looking into how best to make it happen affordably. We want to keep expanding out into stores, and keep selling online. And we’d love to start attending more conventions and events. Our first event will be this May at the Free Comic Book day hosted by Farpoint Toys / Level Up Entertainment in the Hamilton Mall. TMC: What do people love about your products? LC: The colors! The choices! We get a lot of feedback on how many color choices we offer, and how we’re always adding more. We also get a lot of love for our lucky charms. I think people just seem to love the whole Roll 4 It package – you feel like you’re getting a set of dice from folks who care about how you roll – not just a bland pre-packaged experience. TMC: What are your favorite tabletop RPGs? LC: I’m a D&D girl for the most part. I learned way back with first edition, and I’m currently running a 5th edition game while playing as a player in a 3.5 campaign. There’s just something to be said for the classic fantasy experience, the ability to develop a character from low levels through their various adventures into an epic wizard, fighter, thief and so on. That being said, I’ve also got a fondness for GURPS. There’s something to be said for the ability to build ANYTHING and play in any setting you can imagine. There’s a lot of versatility. My husband and I have an ongoing two-person GURPS game, ’cause we’re geeky like that. And for fun and funny times, nothing beats a good game of Munchkin. I just got into this when I received a set for Christmas this year, but I’ve been loving it. Everyone’s seen those power gamers and min-maxers in action over the years. To get to play one for the lolz is just a great time. Come on out and see Roll 4 It Dice at Free Comic Day at Level Up Entertainment in Mays Landing, NJ! If you mention this article, they’ll give you a free die! Disclosure: I received a set of dice to play test from Roll For It Dice. My publication also received a set of dice for an upcoming giveaway.